If your parents have ever gazed at you bemusedly as you effused about your love for all things Harry Potter, they're about to understand that love way more clearly on account of J.K. Rowling's upcoming television project. Moving decidedly away from the turrets of Hogwarts and toward us regular old Muggles, Rowling will be working on a series called The Cormoran Strike Mysteries, named for the main character in The Cuckoo's Calling, a crime novel that Rowling wrote under the pseudonym "Robert Galbraith." 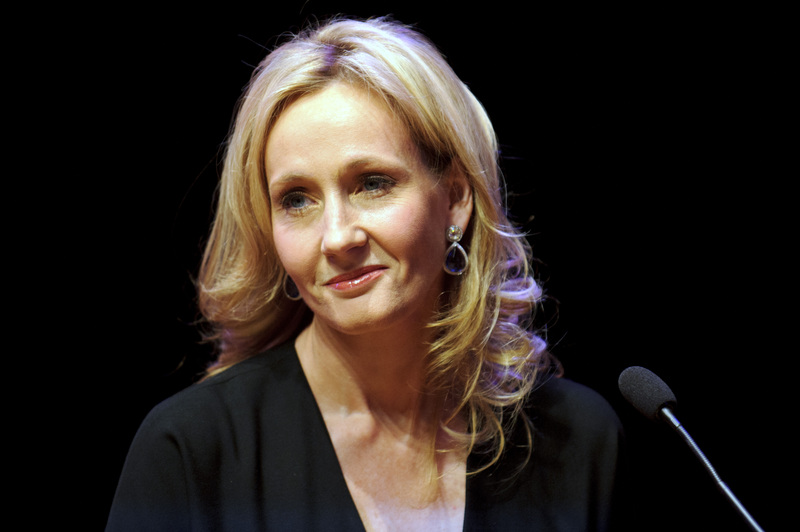 Even though it was only a matter of months after the publication of the first book before Galbraith and Rowling were revealed to be one and the same, Rowling has retained the pen name for the second book in the series, 2014's The Silkworm, and the third, Career Of Evil , which will be out on Oct. 20, 2015. The miniseries, which will be on BBC One, will eventually cover all three books, with different screenwriters slotting in to help with each iteration, but no cast announced yet. But here's what I do know — my parents are finally going to understand my infatuation with Rowling, because, if there are two things they like, it's crime novels and BBC miniseries. They won't have to prove their fanaticism by going to any midnight showings, mostly because those aren't a thing on the BBC, but they might start feeling a deeper sort of connection to Cormoran Strike himself, the grizzled army veteran who turned to private eye work after losing a leg in the Afghan War. Or, in case you Potterheads need that translated — Strike is basically an Alastor "Mad Eye" Moody type who works as the Muggle version of an Auror. And since whoever wins the role of Strike has a promising series ahead of him, prepare for your parents to suddenly have a lot more sympathy for your thing for Daniel Radcliffe.